Filing for Chapter 13 bankruptcy can stop creditor harassment, runaway interest rates and fees, and can provide you with a structured plan for paying down your debt. It’s sometimes referred to as a “reorganization” bankruptcy because it reorganizes your debts so that you can afford to pay them. Unlike a Chapter 7 bankruptcy, it does not completely discharge your debts, but rather provides you with the structure to pay them off using your income. People who might benefit from Chapter 13 bankruptcy have regular income, but aren’t able to afford their debt payments and living expenses. Generally, under a Chapter 13 bankruptcy, a three to five year payment plan is established and once all the payments under the plan have been made, any remaining debt is eliminated. One key benefit to Chapter 13 over Chapter 7 bankruptcy is that you are not forced to sell your assets. This is because debts are paid off with current income as opposed to proceeds from the sale of your assets. 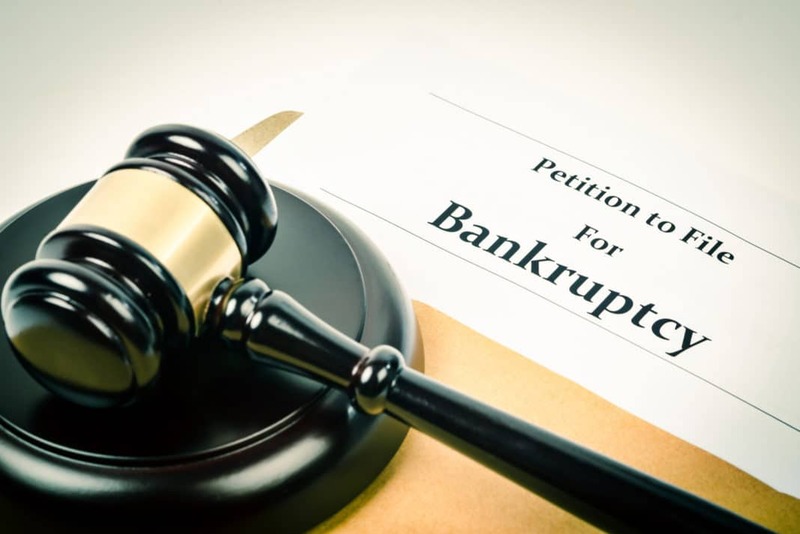 In your petition for bankruptcy, you’ll need to provide a list of all of your debts, whether you are behind on paying them or not, as well as details about your income, assets, and living expenses. You will also need to create and file a plan for paying off your debts over a specified period of time. You must have regular income and also document that income over the past several years in order to support your ability to make debt payments. While there are no limits to how much debt you can have to file for Chapter 7 bankruptcy, there are limits for Chapter 13 bankruptcy for both secured and unsecured debt. These limits go up each year due to inflation, so research the current levels before filing your application. They are put into place to make it more likely that you can pay off debt via a payment plan rather than letting you off the hook for significant amounts of debt. Also, you must complete a course of financial counseling to help you prepare your bankruptcy petition and to discuss bankruptcy alternatives. Counseling also aims to help you understand what behavior created your difficult situation in the first place, and how to modify your behavior in the future. Be accepted by your creditors if the plan doesn’t meet either of the first two conditions. Additionally, your payment plan must pay down at least the same amount or more of your debt than if you had filed a Chapter 7 bankruptcy and had to sell your assets. If you have a lot of assets but low income, you may not be able to accomplish this. In other words, you may be forced to sell some assets even if you file for Chapter 13. Depending on your income, you will either have three or five years to complete your payment plan. Generally, you will be subject to the payment plan for only three years if you have less than the median income for your area (i.e. have passed the “means test”) or five years if you did not pass the “means test.” Either way, you are required to put all of your disposable income, as defined below, towards the payment plan. The payment plan will also make provisions for you to continue full monthly payments on secured debt, such as a car loan or mortgage, during and after the payment plan is complete if the payment term on those debts extends that long. However, whatever unsecured debt is left after the payment plan is complete will be forgiven. Bankruptcy filing fees paid to the court, if you did not pay them in full when filing. Attorney’s fees for filing bankruptcy. Back alimony and child support debts. Any back payments due on your mortgage, auto loan, or other secured debt, and any fees or penalties that resulted from missing payments. These are considered priority only if you wish to keep the house, car, or other secured debt the collateral is attached to. Most tax debts, although some old income tax debts can be forgiven. Reaffirmed debts are also paid in full each month under the payment plan. However, they don’t have to be paid off in full by the end of the payment plan, as long as the reaffirmed debt’s payment schedule is kept. Living expenses, including food, rent or mortgage, utilities, transportation, medical bills, and any current alimony or child support bills. Current payments for secured debts, such as your car or home, that you would like to keep. To determine your disposable income, subtract your living expenses and secured debt payments from your monthly income. Then, subtract your monthly payments for priority debts, which you will need to spread out across the three or five years required for your plan. The amount left over is your monthly disposable income, and will be the amount on which the trustee’s commission is calculated. Your bankruptcy trustee should be able to provide their current commission level (usually between 3% and 11%). Divide whatever is left over after taking out the trustee’s commission among your other debts, proportional to their size. While you are expected to pay down as much as you can, it is also expected that you won’t be able to pay down all of your debts. Any non-priority debt amounts left over after your plan concludes will be discharged, or wiped out. Unlike a Chapter 7 bankruptcy, a Chapter 13 bankruptcy allows you to pay debt using current income instead of liquidating your assets. However, lenders can object to a payment plan if your assets are sufficient to pay off your debt and you claim little disposable income. 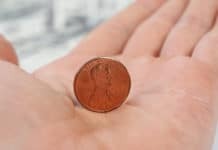 That is, if you have a lot of assets but little income, meaning your payment plan will repay just a fraction of your debt, lenders may ask the court to force you to sell some of your assets as well. When you file for bankruptcy, your bankruptcy trustee handles a great deal of paperwork, judicial matters, and negotiations with creditors. The bankruptcy trustee is an independent contractor appointed by the government and is not a government employee. They also maintain an office and usually have staff that assist them. In payment for these services, the bankruptcy court allows the trustee to collect a commission, which is calculated as a percentage of your disposable income. The trustee’s commission is considered a “priority debt” and must be paid in order for the bankruptcy to be completed. This commission is in addition to any required filing fees or court costs. Trustee’s commissions range from 3% to 11% depending on your jurisdiction, the individual trustee, and how the commissions are calculated. The trustee gets their commission each month. You’ll simply send the trustee the total amount of your disposable income, and they’ll subtract the commission and send payments to the lenders with the rest based on your payment plan. Trustee’s commission: $1,440 at a 10% commission. This is calculated as 10% of the disposable income available in a three year plan, which is calculated by multiplying $400 by 36 months for a total of $14,440, and taking 10% of that amount. If Tim qualifies for the three year plan, he will have 36 monthly payments to make. Each of his priority debts – his missed mortgage payments and his income tax bill – must be paid off within the three year time frame. He will also be required to pay the trustee’s commission. Then, whatever remains of the disposable income after paying these priority debts will be allocated across the other debts proportional to their size. In this example, each month Tim will pay $34 for the missed mortgage payments, $84 for the income tax bill, and $40 towards the trustee’s commission. That will leave him $242 per month for the credit card and medical bills, which are the non-priority debts. Based on their percentage of the total remaining debt, he’ll pay $97 per month towards the medical bills and $145 per month towards the credit card debt. At the end of his payment plan, Tim will have completely paid off the missed mortgage payments and the income tax bill. He’ll have paid $3,485 of the medical bills and $5,227 of the credit card debt. The rest of Tim’s medical bills and credit card debt will be discharged. Note that Tim will be making payments directly to the trustee overseeing his bankruptcy case, who will take out the commission, and then make sure his creditors get paid. Loans secured by property must be paid in full each month in order to keep the property unless a modification to the loan is approved by the lender. If the monthly payments for a secured debt are not paid in full during the course of the payment plan or there are still missed payments that were not made up after the payment plan has been completed, the lender has the right to seize the property or foreclose on it. Recall that missed payments are considered a priority debt regarding your payment plan and must be paid back to successfully complete the plan. The one note to keep in mind is that while payments must be made, the loan does not need to be paid in full by the end of the payment payment plan if the loan term is longer than the payment plan, such as with a home mortgage. If you’re considering bankruptcy, you’ve probably received a lot of unwanted attention from your creditors, and foreclosure proceedings may have already begun on your home. Once you file for bankruptcy, an “automatic stay” measure is activated which requires all lenders to immediately stop their collection attempts until the court determines how to proceed. However, lenders can appeal to proceed with a foreclosure in some cases, such as if one was already in progress. But they must do so with the permission of the court. The mortgage on your primary home, as well as other secured debts like a car loan, will be treated differently than unsecured debts in a Chapter 13 bankruptcy. Generally, you will make up any prior missed payments and penalties on your secured debts over the course of three or five years, while still making the monthly payments required under your original loan terms. If the loan period is longer than your payment plan, you will need to keep paying it after the plan is over in order to keep the property securing the loan. That is, secured debts will not be forgiven once you conclude your payment plan. Payments on unsecured debt, which does not have collateral attached to it, will be paid from your disposable income during the payment plan. But, unlike secured debt, whatever unsecured debt remains at the end of your payment plan will be forgiven. Even bankruptcy proceedings cannot discharge certain types of debt including, but not limited to, student loan debt, child support, alimony, and fines imposed for criminal activity. In rare circumstances, lenders can be forced by the bankruptcy court to modify a loan if it is currently worth more than the property securing it. This is called a cram-down modification. This occurs commonly with cars which have gone down in value faster than the loan was paid off (i.e. upside down car loan). However, a cram-down modification can only be performed on a car loan that was taken out more than 30 months before applying for bankruptcy, or on other personal property where the loan was taken out more than 12 months before. It is possible, but very difficult to do a cram-down modification on the mortgage for your primary residence. 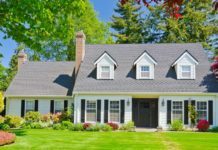 If your home is not worth as much as the debts you have on it, you may be able to have any second mortgages, home equity loans, or lines of credit “stripped.” In other words, the bankruptcy court recategorizes these loans as unsecured and removes their claim to your home as collateral. Then, only your primary mortgage remains as a secured debt attached to your home. Home equity loans or lines of credit are then paid off in your payment plan like other unsecured debt, such as credit cards and medical bills, which is to say, probably not in full or perhaps at all. For some people, this strategy can go a long way towards helping them afford the original mortgage payment. If you have debts you would like to continue to pay after your payment plan is complete, you may ask the trustee to allow you to “reaffirm” that debt. This means that you agree to keep paying on the debt. Reaffirmed debts are often ones you could otherwise have gotten discharged in the bankruptcy but would like to repay. Or, debts can be reaffirmed on property that you’d like to keep, such as your car or home. Reaffirming a debt requires the agreement of both the trustee and the lender. When you reaffirm a debt, you continue paying it as agreed in the previous contract. For example, if you want to keep your home and its mortgage, you must make up for all missed payments through your payment plan, and in the future be on time with current payments. You can also reaffirm a debt that is personally important to you. For example, if you have a specific medical bill you want to pay in order to maintain your relationship with that doctor, make sure to reaffirm it. Otherwise, it will be wiped out. You must notify the trustee that you would like to reaffirm the debt sometime before your payment plan is complete. 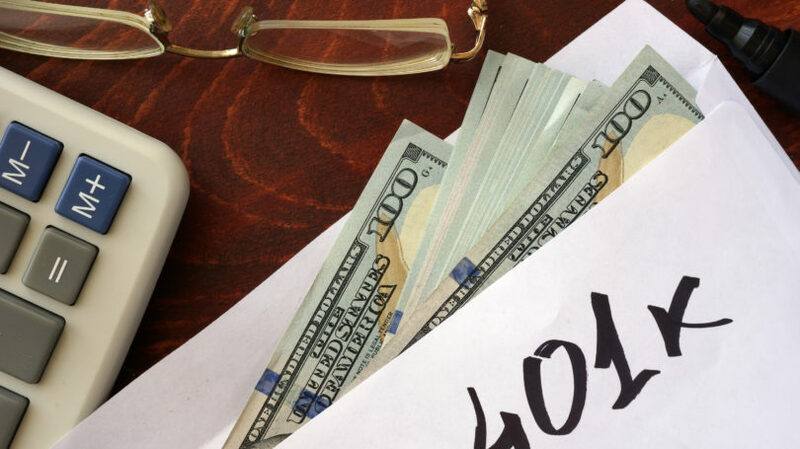 If you took out a loan from your 401k or other retirement plan and are having difficulty paying it back, you can include that 401k loan in your list of debts. You’ll be required to make payments on the 401k loan as if it were an unsecured debt, and whatever amount of debt is left over after you have completed your payment plan will be discharged. This is very different from a Chapter 7 bankruptcy, where retirement plan loans cannot be discharged. Chapter 13 bankruptcy is an opportunity for those with a regular income to pay down their debts over a few years at low or no interest rates while keeping their assets. However, since almost every cent that is not used for living expenses will be directed towards debt payment, it is by no means an easy way to get out of debt and will have long-standing repercussions on your credit. If you are considering bankruptcy, explore all your options and understand the effects bankruptcy will have on your quality of life during and after the process. What are your thoughts on Chapter 13 bankruptcy? Is it something you’d consider filing?